Huizhou Shengyang Industrial Co., Ltd. is specialize in R&D and manufacturing electronic equipment industry manufacturing automation equipments.Our products including ultrasonic welding machine,automatic welding machine,automatic screw locking machine, automatic screw tightening machine, automatic screw feeder machine, Turbine air blowing automatic feeder, Coordinate machine, Automatic dispenser, Peristaltic dispenser, Automatic glue filling machine, Automatic soldering machine and so on. Today Huizhou Shengyang will tell you something about ultrasonic welding. Ultrasonic Welding is a process where the high frequency vibrations of an ultrasound are applied to a piece that is to be welded. The pieces are put under pressure and held together until they create what is know as a solid state weld. Usually there needs to be a frequency between 20 and 40kHz in order for this to work. This type of welding is used for plastics and for joining two different materials. By using an ultrasonic vibration there is no need for bolts, nails, soldering or adhesives to keep the materials together. By using these vibrations on thermoplastics melting occurs on the plastic as it pulls in the energy of the vibration, which is pulled across the joint that needs to be welded. On metals, ultrasonic welding happens when the material is taken through friction welding. The vibrations from the ultrasonic welding machine are produced by a welding sonotrode (horn) and they soften the thermoplastic material along the line of the joint. The equipment that is used will determine how strong the weld is and this will depend on how the equipment is designed, the materials to be welded and their properties and how the joint is designed. The time it takes ultrasonic welding to happen is very short and for mass production this type of welding works very effectively. This type of welding will be used in the automotive industry for light clusters of things that need done and in producing electronic products like the casings in mobile phones. Ultrasonic welding is used to weld both hard plastics and soft plastics and some metals. Today the machines are able to even do semi crystalline types of plastics. There is research and testing going on to see how this process works because not everyone has understood the power of this process. They are studying areas like how the process parameters of something to be welded with relate to the quality of the weld. The process has needed to be studied because there has been more of a demand for different types of plastics and for electronic pieces which are best made by this process. In many respects it is still a developing field. It needs a press that can hold two different parts that will be put under pressure. An anvil to put the parts in place to take on the elevated frequency vibration that is needed to hit the pieces. Something called an ultrasonic stack that has a converter that holds the horn that needs to be tuned to the specific frequency. An electronic ultrasonic generator that can deliver a higher power AC signal that can match the frequency that matches the resonance of the stack. A controller that can control the movement that the press will make and how it delivers the ultrasonic energy. 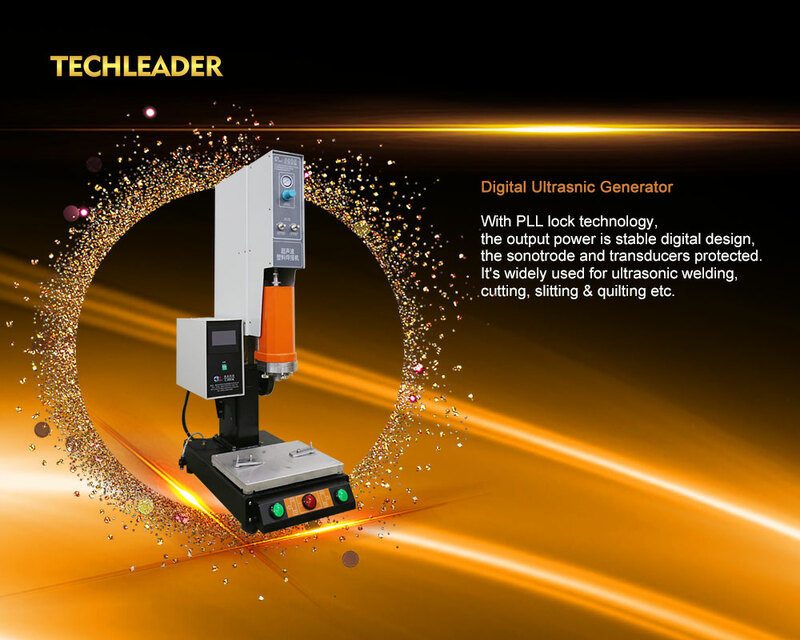 Ultrasonic welding machine can be found in many different areas beyond electronics and the automotive industry. This process is also used in the electrical area, with computers, with aerospace and with the packing and medical industries.